Explore our online professional development courses that provide the opportunity to learn and collaborate with your peers, in a flexible format. We have partnered with S&S Worldwide to bring you quality online courses to educators and school districts. When we began the professional development journey we wanted to bring you courses that offer real take-aways that can be used to improve your teaching and met criteria so that the hours can be put towards licensure renewal. Most courses we offer are self-paced, so there is no formal start or end date for completing a course, thus, giving you the freedom to complete assignments on your schedule. Each week we are adding new courses focused on content that is relevant to current educational standards and what is being asked of educators within their districts, schools and classrooms. Topics surrounding Behavior and Classroom management, STEM and Next Generation Science Standards, Social Emotional Learning, Literacy, Early Language Learners, Bullying Compliance, Playground Management, and Teaching Mindfulness. Each course has an approval sheet so that you can work with your administration on getting the course approved or reimbursed. Upon completion of our courses, you will receive a certificate of completion. Cost for courses range from $10 to $300 and you can pay with a credit card, paypal or a Purchase Order (more information in the FAQ section). We are an NYSED Approved CTLE Sponsor! To get more information on these course and to enroll, click on the title of the course and it will bring you to the S&S Online Learning School. Our NEWEST Courses - We add new courses weekly! Course Description: Knowing how important mindfulness is is to the overall well-being of children, we are thrilled to offer this exclusive course to teachers and educators. You’ll gain in-depth knowledge into what mindfulness is, benefits it can offer your students, and then learn how to teach these techniques. There is no experience needed in yoga or meditation to take this course. You can easily teach these mindfulness tools using our easy-to-follow videos and resources. Course Description: This course has been designed for any K-12 classroom teacher, curriculum developer or administrator looking to increase the time that children are physically active throughout the school day. In this course, we focus on developing a working knowledge of the importance of integrating physical activity, and specifically brain breaks (also known as brain boosts, brain blasts, brain energizers, etc.) for overall student success and how to implement a myriad of brain break and movement strategies with your students to keep them active and engaged while learning their curricular outcomes. Our instructor is available to help you throughout this course with any questions you may have. Course Description: The purpose of this course is to explore what gamification is, why it’s so powerful, and demonstrate various ways in which to use it in education at any level, both with or without technology. Learners will discover how to create gamified activities, lessons or full units, and many resources will be provided. Course Description: Makerspaces enable opportunities for students to create, imagine, and build…..what better springboard for that than stories? Stories fuel and ignite the imagination. Many people associate makerspaces with only STEM-related activities, but literacy and making can go hand in hand. An understanding of transliteracies is key to meeting the needs of our 21st century learners and can enhance any makerspace. Course Description: This course is for anyone who wants to learn more about how to meaningfully support their ELLs during instruction, but more specifically for mainstream teachers that need extra support in educating these students. I want to provide you with resources, tools, strategies, publishing industry knowledge, and statistics to help you not only grow as a teacher, but to help you make more informed decisions overall when it comes to matters surrounding your English Language Learners. I am here for any extra support or guidance that you need during this course and encourage you to let your passions shine through in your writing. Instructor: Ruth Herman Wells, M.S. Course Description: This behavior management course was designed for use with students and children ranging from age 5 to 18. These behavior interventions and methods are designed to work when conventional techniques fail. You will learn innovative, more effective tools for problems with aggressiveness, motivation, bullying and cyberbullying, classroom management, work refusal, violence, disrespect, defiance, withdrawal, ADHD, delinquency, and school failure. Course Description: The goals in this course are you train you and your staff to become better playground supervisors so that you better understand your role and responsibility in keeping children safe on the playground. It also covers how to deal with behavior problems on the playground and the role you and your school play in legal responsibilities in keeping children safe on the playground. Course Description: This course on bullying prevention will cover legal requirements, state specific requirements, state and local responsibilities in reducing bullying. It will also define what bullying is, types of bullying and dive into statistics on bullying. There is also information on legislative components, training and prevention, transparency, monitoring and how to respond to bullying. Course Description: The purpose of this course is to provide educators inspiration, ideas and research that supports the positive impacts of family engagement within their programs. Parents and families of our students have busy days, but being involved in the activities and education of their child is something that can have a huge effect on the success of each child and your program as a whole. This course will help you identify opportunities that will work for your families and strengthen your community. Course Description: The purpose of this e-course is to plan and create a unique, meaningful, and relevant makerspace for your school community, by becoming familiar with the maker movement and makerspace best practices, in K-12. The maker movement has been a revolution in education. All educational stakeholders need to find ways to leverage this movement. Course Description: Did you know that coding is part of the Maker Movement? Coding has never been more accessible and applicable to all ages than it is now! Resources in this course are at low to no cost, and include a mix of online/offline activities. This multi-media platform with guide educators with NO CODING SKILLS AT ALL to be confident and comfortable helping students learn how to code! Course Description: Did you know that you can include Literacy as part of the Maker Movement? This course will teach you how to use picture books with young learners to engage and inspire inquiry, maker activities, calls to action and arts integration. You will explore the inquiry process and how to engage children to ask quality questions. Plus, you will walk away with dozens of lessons, activity ideas, makerspace projects and strategies. Course Description: The Alliance for a Healthier Generation and the National Girls Collaborative Project have joined forces to bring you a fun interactive workshop that will explore innovative ideas for blending STEM and wellness. All designed to help all young people succeed. Participants will leave with easy-to-implement ideas and evidence-based resources along with talking points for building support with school administrators. Course Description: The course provides information on teaching note taking in any subject. You will learn numerous instructional practices for a variety of literacy skills that students must learn in order to take quality notes. You will also learn scaffolds that can be used used to differentiate your instruction to meet individual student needs. 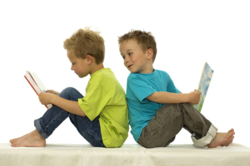 Course Description: The purpose of this e-course is to increase knowledge and understanding of the importance of reading aloud to children by becoming familiar with the components of an effective read-aloud program. It provides instructional strategies, interactive techniques, interactive student responses and preparation tips for interactive read-alouds. Course Description: The purpose of this e-course is to help you develop a successful summer reading program that will help to support and minimize the "summer slide" or the summer set back that children experience from not having a daily routine inside the classroom. The ideas with in the course are meant to be simple so that you can easily implement a plan to encourage and set aside time each day for reading. In addition, there are ideas that can benefit enrollment within your program with your summer reading program, and also your collaboration within the community. Course Description: The purpose of this course is to get you thinking about how to transform the Library or Media Center so that it is relevant to today’s patrons and also to build a foundation for the future. Course Description: The purpose of this course is to provide educators activities and inspiration to create an environment where the children and students in their care can thrive. Before children even begin their day with us, we have no idea how their morning or home life has had an effect on their behavior or mental mindset. We have the ability to positively effect each one of these children and give them a space where they feel comfortable, confident and where they can ask questions and be heard. Course Description: The purpose of this course is to provide educators tools, ideas and activities to bring to their programs that their students can benefit from. You will walk away with at least one or two new ideas to integrate SEL tomorrow into your programs. Course Description: The purpose of this course is to provide educators and out-of-school time professionals the confidence and knowledge to create a culturally competent environment for their students, families and staff. This course will help you self reflect on your cultural competence and help define what cultural competence and culture is. The content provided then identifies how to create a more comfortable environment where individuals can be knowledgeable about differences and accepting them. The Physical Education Online Course offerings are created by PE Central (pecentral.org). There are over 50 courses to choose from. You can click here to see the full physical education online course offerings. Below we have featured a few popular courses that classroom teachers or administration may also be interested in taking. Making Your Field Day Shine: How to Plan and Execute a Field Day That Rocks! We have hundreds of testimonials, you can read them all here. Below we feature a few testimonials from recent course participants & answers to frequently asked questions about our online courses. "My instructor was very knowledgeable of the work. I am currently taking a Reading Comprehension Instruction class for professional credits on my license and was very excited to find that this course was aligned with that "class. I feel more confident as a teacher now that I have the resources from this course." "This course was very informative. I learned a lot that i did not know about pre-school children, and what should and shouldn't be taught. I enjoyed this course very much. Thank you Michele for your constant feed back and help." "This class was very informative and filled with useful tools I put into practice within minutes. You can move along at your own pace, from any device, at home or at work. Also, although I was already using some of the apps covered, I learned new ways to use them and/or capabilities of the apps I was unaware of. It’s a great value for PD credits, the information and the knowledge gained to become a more effective and efficient teacher. I highly recommend it!" "The Playground Supervision & Responsibility Course was very informative. It was a great refresher course. I found the behavioral issues section to be very helpful. The legal liabilities section was important information. Injuries during the transition time was higher than expected. I will be more observant of woodchips being kicked out from the swings. We do not allow our kids to play dodgeball or tackle games. Also, it is so important to look out for drawstrings. It was a great course to refresh and update on supervision skills." "I think the big takeaway is that everyone can code and the more you practice the better you get. I'm also amazed at how much fun students have with the unplugged activities. It was enlightening to watch them work together. To see them realize that debugging was just a part of programming and mistakes are a normal part of the learning process. My students were supportive of each other and stayed on task and persevered. I am excited to take on this new role and to encourage students to look at technology in different ways. I can't wait to watch them develop new ideas and use technology as a tool that they can continue to build on throughout their education and into their careers." "I plan to implement the Peace Path and the Chill Zone. The Peace Path will help our older kids to talk - with each other - about what is bothering them instead of holding it all inside or acting out aggressively. I like the idea of a dedicated place for the kids to go when they are upset with tools posted to help them calm down and self regulate. I'm looking forward to implementing the Chill Zone. " CEUs - At the present time we offer CEUs for courses that award 10 hours or more of professional development. CEUs are given through St. Mary's College of California and are awarded after completion of the course, along with your Certificate of Completion. CEUs are an additional $50 that is paid separately upon application with St. Mary's College. New York State - CTLE Approved - Almost all educational courses on this platform are CTLE Approved. Courses offered by PE Central, Education World, Peaceful Playgrounds are all approved. If you need prior approval, our sponsorship number, or have any questions on getting your NY State CTLE Hours from our courses, please contact [email protected].